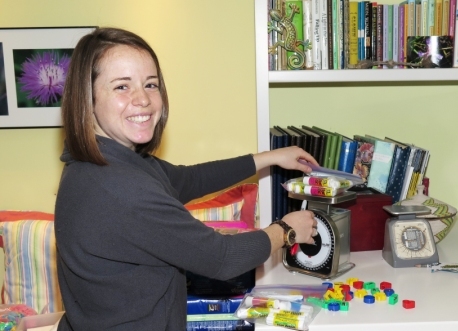 Every Pack for a Purpose trip that we undertake always begins with donations of supplies. For our trip to Tanzania, we were once again very fortunate to have several individuals, groups and companies who filled our six suitcases with the needs from each project’s list. Sharon Luggage, our longtime partner, provided us with suitcases that we would not need to bring back with us and therefore could be used by our participants in Tanzania. United Stationers Supply Company once again sent us supplies that match the needs list for the six projects we were bringing supplies for on this trip. Their initial interest in Pack for a Purpose started when one of their senior executives went to Tanzania and Packed for a Purpose on his trip. 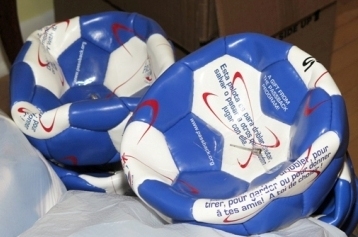 Passback Soccer generously provided soccer balls for us to divide up and bring to each project. Several students from Ravenscroft, a school in Raleigh, held a bake sale to raise money to purchase supplies. 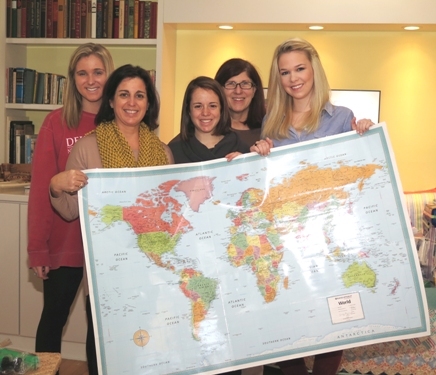 The school is sending students for the second year in a row on a Pack for a Purpose trip to Zambia. Here, Ravenscroft student Natalie Hianik speaks about her decision to become involved. The Uniform Project, a nonprofit based in Atlanta, graciously supplied enough soccer uniforms for four teams. Soccer uniforms are requested by many projects on our website. In addition to my husband and me, several generous friends made financial contributions. 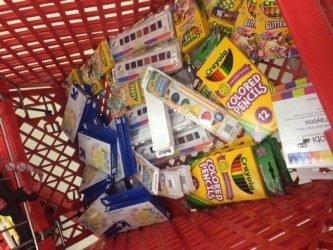 The funds were donated specifically to buy supplies for the projects we were visiting. You are never too young to be inspired to help others. The case in point is Savannah, who I am now calling the “pencil princess.” Savannah’s mother works as a travel agent who represents the Sandals properties across the Caribbean. 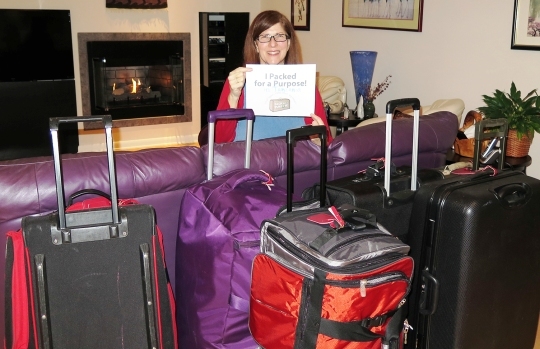 When she was going on a trip to one of the Sandals properties, Savannah’s mother Packed for a Purpose. She told Savannah how many of the children on the island didn’t have the supplies they needed for school. Savannah, at the tender age of 7, was inspired! 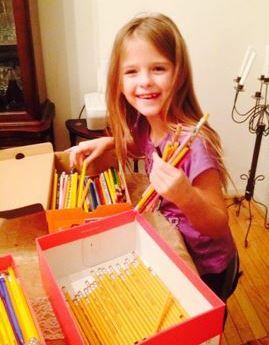 She wrote a letter which her mother photographed and posted on Facebook asking her friends for pencils. 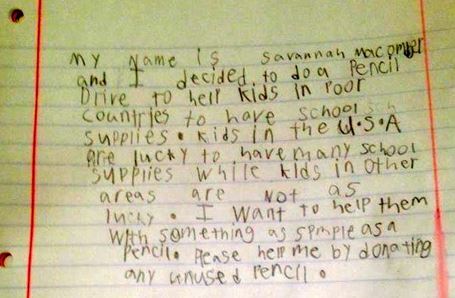 Savannah’s mother then took the collected pencils to the school she was visiting in the Caribbean. Savannah received lots, and lots, and lots of pencils! She thought there were enough pencils to share with children in other countries that needed them. That is when Savannah’s mom contacted me. I mentioned, as good luck would have it, that we were traveling to Tanzania, and that another couple that volunteers for us was going to Kenya. Savannah’s mom sent two big boxes of pencils for each of us so that Savannah and her friends’ generosity could expand to the continent of Africa. Savannah’s project has continued to grow and at the advanced age of 8, she has become a committed philanthropist determined to make a difference in the world. Once all of the supplies were collected and the suitcases arrived, the packing party proceeded. Packing six suitcases full of supplies takes a lot of time and energy! Fortunately for us, I had several amazing interns and a mother of one of the interns who kindly offered to help. Perhaps my homemade cookies and our pizza lunch were also a slight motivation. The “fun” began on a Saturday morning. Our first step was to sort items into categories based on requested needs. 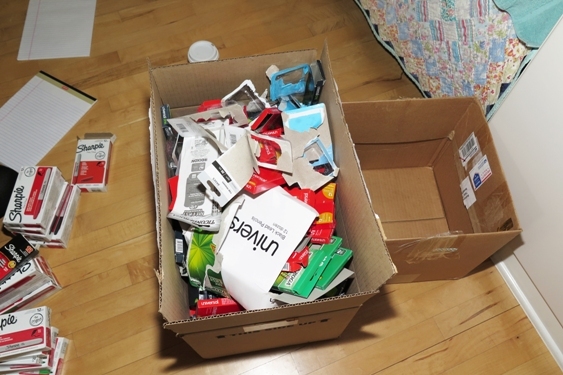 The next critical part was to repackage items, which saves a lot of weight and allows us to recycle packaging here where it can be recycled. In Africa, there are few recycling facilities. Weight is always an issue. On our website, we request just 5 pounds, 2.27 kilos of supplies, because we find that most everyone can find room for that in their luggage. As we all know, the airlines are very exacting with the weights of luggage. As we pack the supplies, we weigh all the items to make sure the total amount of supplies in a suitcase does not exceed the weight limit. After several hours of hard work and laughter (and of course, lunch and cookies), we had succeeded in packing six suitcases full of supplies for our trip to Tanzania. Each suitcase included only the items that the projects requested on our website. This is a fundamental principle of Pack for a Purpose–only bring what is requested on the needs list. I firmly believe that when you Pack for a Purpose, the trip you take goes much farther than the miles you travel. Stay tuned for the second installment of this story, “Asante Sana, Tanzania,” coming soon.